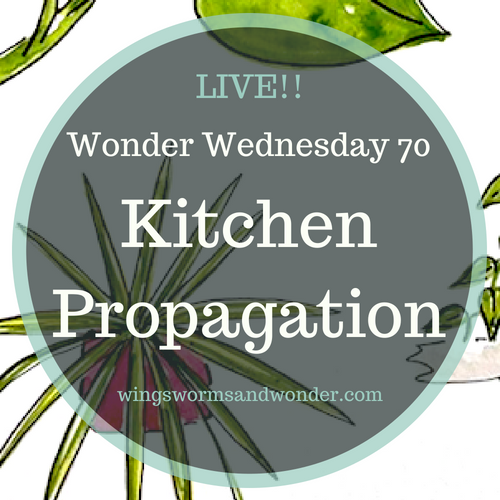 Wonder Wednesday 70: Kitchen Propagation! It’s Wonder Wednesday 70 and this month we’re growing plants in the kitchen from our dinner leftovers! It’s kitchen propagation! This activity is modified a taste of the “RE-Grow Gardening” activity from my new book …..
It’s been 3 years coming, so the fact that today is actually here is hugely exciting for me. In this book, my goal is to bring all of you who have and/or teach young children heaps of practical advice, loads of inspiration, tips and tricks galore, and sparks of wonder for connecting young children to nature – regardless of your own experience in nature! 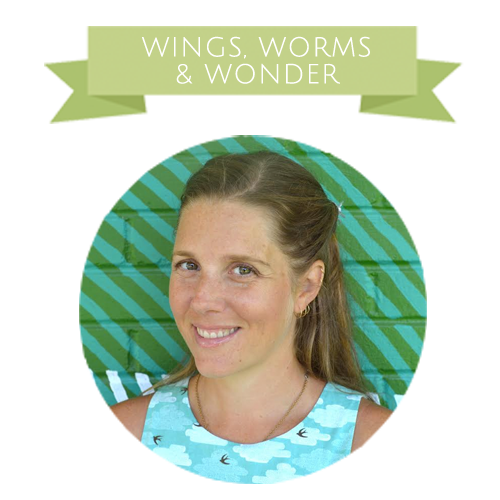 Check the Seeds to Sprout section at the bottom of this post for the link to get your copy hot off the press or if you can’t wait (I don’t blame you!) click here. Growing plants from leftovers is not only economical, but fun and delicious! Plus, it cuts down on the wait time, which is great for gardening with young children. It’s also great for urban gardening and small space gardening too! & Don’t worry, if you couldn’t make it to our Wonder Wednesday live session, here’s the replay! In this activity, I offer you a few styles of propagating kitchen leftovers as well as replanting cuttings from house plants. In the live video, I demonstrated basil, lemon balm, mint, carrots, and spider plants. The key to propagating with young children is to enjoy and engage them in every step of the process. Let the child sensorially explore the materials being used (water and soil pouring and scooping repeatedly), the plants being propagated (tearing the leaves being pull off, the smells and tastes, play with the bowl of scraps, the stiffness of the stems), maintaining the cuttings, and planting once the cuttings have rooted. Talk with the children about every step of the process, engage them in a simple propagation nature journal project, and in cooking any tasty herbs you re-grow! And I didn’t mention this in the video, but it is important to remember when propagating, not all cuttings will root. It’s not you, it’s just how it goes. So be sure to try to root a few cuttings of each plant you re-grow. Remove the bottom 3 sets of leaves from your sprig of basil if they aren’t already from cooking. Place in a cup of water. Add more sprigs of basil to the cup to root as desired. Repeat the same steps for mint. Place both cups in a bright but not direct light window. Keep filled with fresh water. If there are any sets of leaves in the water, pick them off as they will end to rot in the water while you wait for the sprig to root. In about a week (maybe less) you will see roots growing! Once a sprig has roots about a 1/2 inch long, plant it into soil – either in the ground or in a flower pot. When the plant has 3 new sets of leaves, harvest for your cooking enjoyment! Let the plants grow and flourish while you enjoy the leftover that keeps giving! Carrot propagation – cut the main portion of the carrot off to eat – leaving about an inch from the top of the carrot. In about a week, you will see the green tops begin to sprout again! Take the rooting experiment as an opportunity to make a propagation journal. When journaling with young children, the documentation will, of course, be more abstract. 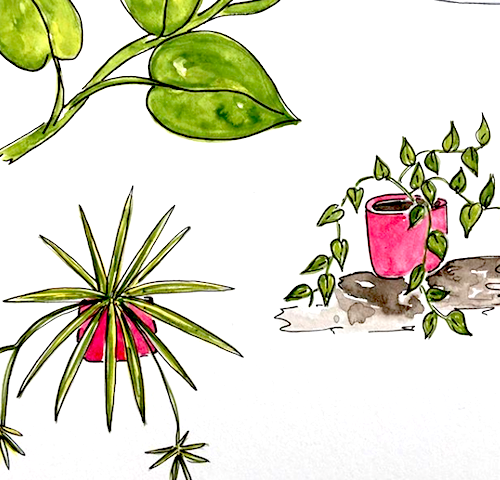 Offer a limited color palette of crayons and a single page of paper to draw the plant. Observe, and the document and draw in the journal the plants before you root them. Do the same for the stages of rooting (or sprouting in the case of the carrot) every couple days. For the basil and mint, draw the final root growth stage before you plant them into the soil. Once they are in the soil, document and draw the plants as they flourish into their full expression. Then, for adults and older children, create an illustrated recipe of your favorite way to eat the mint and basil! This is called “propagation” which is a big word for making new plants from cuttings of an original plant. Propagation is a great way to introduce children to the joys of plant sharing and giving living gifts. Show the children the plants they will propagating, or making cuttings from, and allow them to explore these plants observing any characteristics or scents they may have. Purchase mature spider plants (Chlorophytum comosum) with lots of “spiders” at a local garden center or borrow from a green thumb houseplant loving friend. Read about arachnids, then show a mature spider plant with lots of “spiders” descending down from the plant just like the young spiders (spiderlings) propel down from the web’s egg sac (called ballooning). Cut off a “spider” from a spider plant, place the roots into a small pot filled with soil, keep the plant watered and in partial sun, and watch it grow! Spider plants like bright, but not direct, sunlight, also making great houseplants. What plants would you like to try growing from leftovers? Share in the comments below! Keep the young children in your life creatively connecting with nature this summer, and all year long! 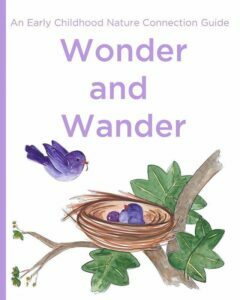 Get your copy of the new book Wonder and Wander here! 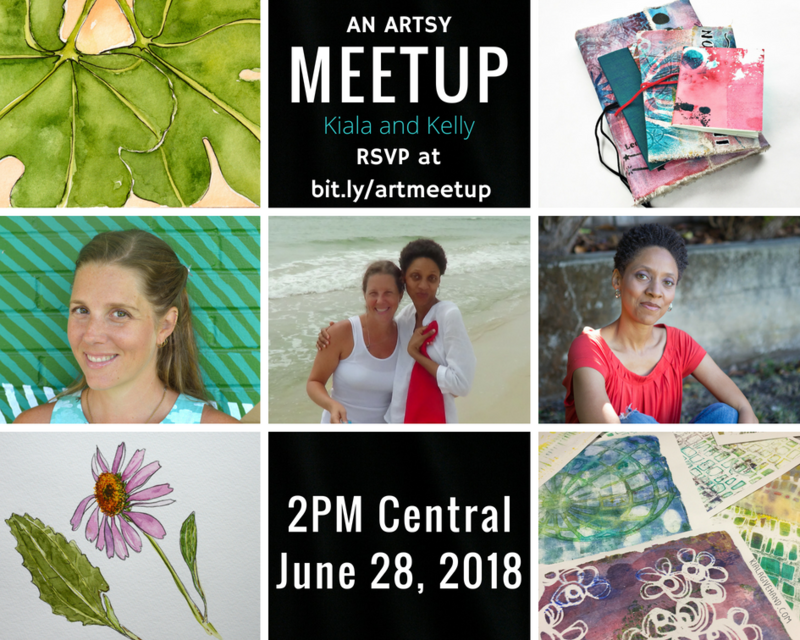 Join me online LIVE, Thursday, 6/28/18, at 3-4:30pm est for an Artsy Meet-up with Kiala Givehand! Click here to get the info on how to log in, take a break, and make some summer ocean inspired art with us! Not sure how to eat carrot greens besides using them in veggie stock? Try there ideas from the blog Kitchn!